It’s hot, sticky and I have a trickle of sweat running down my back. The answer? A drink of mezcal of course. Central Americans not only invented chocolate but can also claim mezcal – the drink sometimes called tequila’s father – as their own. 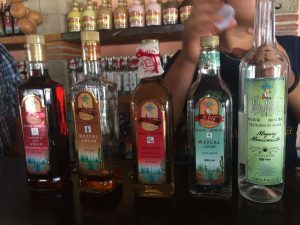 Mezcal can be made with upwards of 30 varieties of agave and can be produced in most Mexican states, with the majority of mezcal production occurring in Oaxaca. On the other hand tequila can only be made, by law, with one variety of agave, the Blue Agave (agave azul). And it’s not the thick, fleshy leaves of the succulent but rather the “heart” (that can weigh up to 100 kg!! ), which is used to make this beloved drink. Those that make mezcal compare its production to wine and that’s why you may hear it referred to as ‘vino de mezcal’ or ‘mezcal wine’. Just like different grapes have different names, so too does mezcal with close to 150 varieties! Mezcals, like this one, made from Espadín agaves tend to be the most readily available. 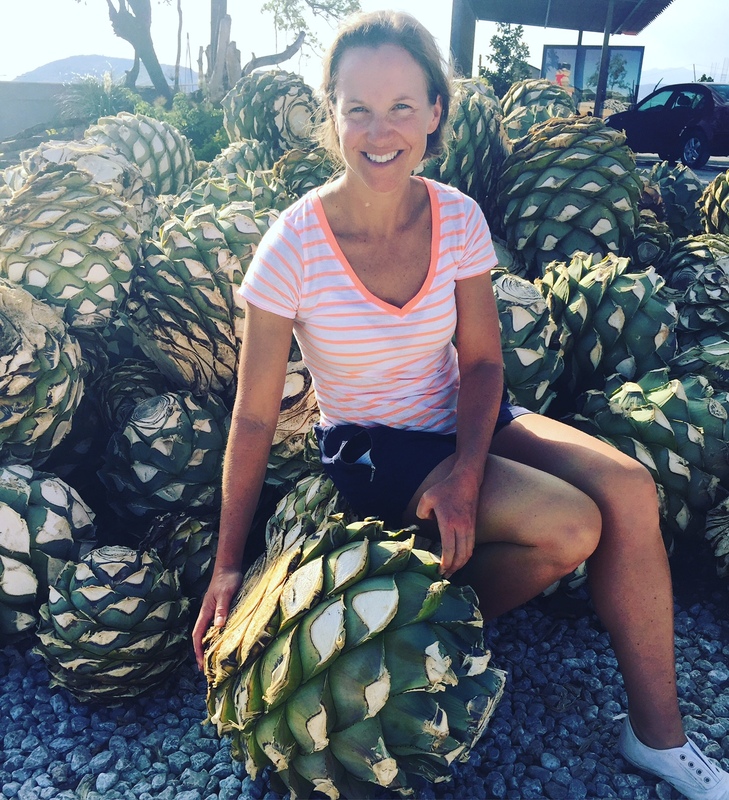 Agave farmers, also known as “Maestro Mezcaleros” (a term of respect for craftsmen who make mezcal), normally have to wait more than 10 years for the agave plants to reach maturity and be harvested not dissimilar to growing truffles! The “pinecone” pile looms large at the front of the small-scale distilling operation, called a palenque. A fire pit is strategically placed close to the pile to roast the agave hearts, called piñas (piña means pineapple because of its resemblance to the fruit), which gives mezcal its distinctive smoky flavour. Tequila agaves, by contrast, aren’t cooked. 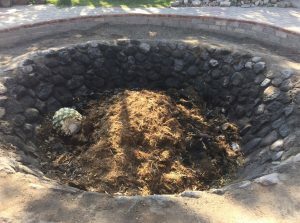 The pit is covered with agave leaves and straw mats, piled up with earth and left to roast for four days. Roasting brings out the natural sugars of the agave. 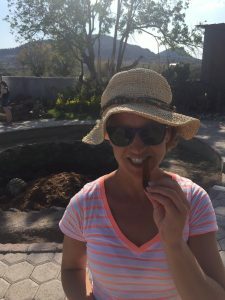 It is very sweet and is often sold in markets in Mexico in chunks to be eaten in which case the tough fibre is chewed (I’m gnawing on some below), then discarded. 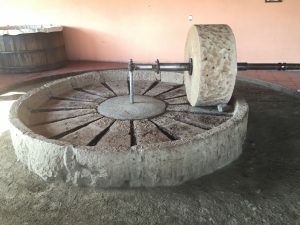 The cooked agave is then crushed (using a special grinding mill with a stone wheel pulled by a horse or mule), combined with water and placed in wooden barrels to ferment. 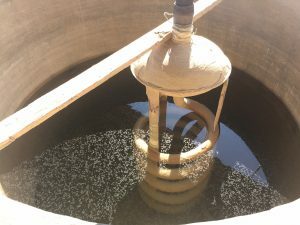 After the fermentation, the mash is distilled and then either bottled right away, for an unaged mezcal called joven or blanco, or it is left to age in oak barrels. And the worm? The mariposa worm (which feeds on the agave plant) is exclusive to mezcal since the Mexican standards authority, NOM, prohibits adding insects or larvae to tequila. 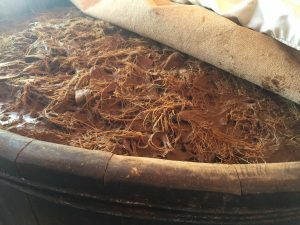 So next time look at the worm at the bottom of a bottle of mezcal with fondness, as it makes this spirit more than just another bottle of booze.